Buyers Financing Through! Back on Market! Pending Release. 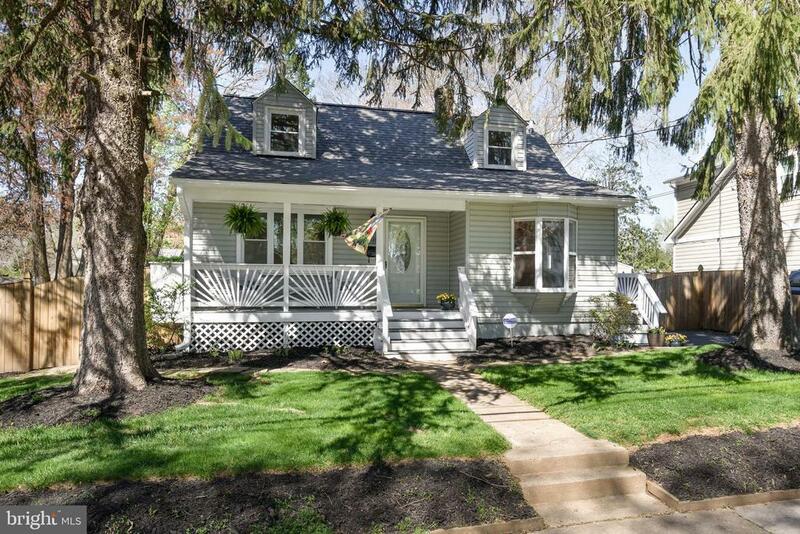 Spectacular Cape Cod in the Heart of Fairfax City! Cared for by the Same Family for Almost 70 Years! Renovated Kitchen! Hardwood Flooring! New Carpet on Upper Level! Fully Finished Basement with Full Bath! 2 Full Baths! Thermal Windows! Cozy Front Porch! Fireplace in Basement! Large Deck Overlooking Beautiful Fenced Back Yard! Oversized 1 Car Garage with Electric! Large Driveway to Accommodate Multiple Cars! Amazing Condition! Minutes to I-66, Main Street, Route 50 & Route 29. Dont Miss this Lovingly Cared for Home! New roof, Updated Bathrooms. Finished Basement is approximately 600 square feet.